Harvard University, Boston College, University of California and Virginia Tech are offering medieval studies courses inspired by the Game of Thrones. Doctors with MBA degrees enjoy an edge when it comes to hospital administration and becoming leaders of large health-related organizations. Getting into medical schools in the U.S. and U.K. becoming increasingly difficult. Not only does entry into these schools require very high grades and facing tough competition, but the tuition fees are often impossible to meet. Here are a couple of other countries whose medical schools you could consider instead. 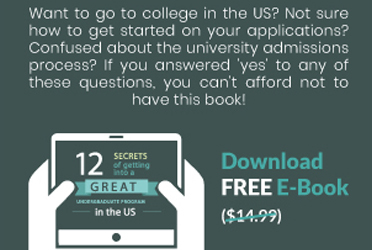 Is getting admission into Oxbridge or an Ivy League university one of your goals this admissions season? Fear not, braingainmag.com brings you tried and tested advice from those in the know. What are the secrets to getting into the University of Oxford, the University of Cambridge or one of the U.S. elite Ivy League institutions (Harvard, Yale, Princeton, Dartmouth, Columbia, Cornell, the University of Pennsylvania, Brown University)? Kavita Singh, CEO of FutureWorks Consulting - a graduate of both the University of Oxford and Columbia University, and Akanksha Bapna, CEO of Evaldesign - and an alumna of Harvard University and the University of Cambridge, spoke to students about their application strategies for admission. Braingainmag.com held a series of six student sessions at The Imperial Hotel, New Delhi, in February 2014.